I am not sharing this music video because it is fun or it is a nice song to listen. I read a story for this MV and thought yes it fits well. It is a summary of the world, society. Banker - The banks play with the money, control the economy. They make people spend more money by giving them credit cards. They put them in debts. People work to pay their debts to the banks. Gambler - he is the main man after everything. They know everything. They plan the game and make societies, nations play it. The rukes and power in their hands. They control the "Thieves" - (blacksmith, bartender) the terrorist groups all around the world. They form the terroriest groups and make chaos in countries. They give the power, take it back when the time comes. Bounty Hunter, sherriff - the army forces of the gambler. They are send afterwards to take care of the pawns (terror groups) when their job is done. Bullfighter - the part of the society who doesn't care what is going on in the world. They are in their own world. They play games, waste their times in vain. The girls are like those tv shows which prison people and make them numb what is happening around them. Barber - the part of the society that is curious and noisy about the events going on around. Fruitseller - the small business that get effected by all money and power games. Their worry is to earn the day. "I'll Smile Even If It Hurts"
"Sözcük çok yavaş yavaş yenir, ancak dilinin üstünde erimeye bırakırsan dağıtıp yeniden birleştirebilirsin onu." 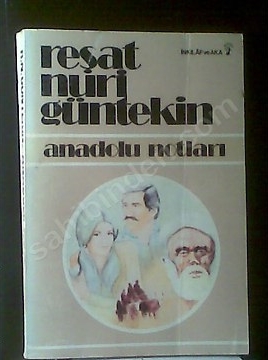 Kelile ve Dimne, Beydeba - father's book. so it is an edition from 70s. 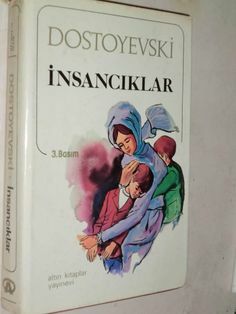 it is strange how I have a hard time udnerstanding my native language from 40 years ago..
Gulag Takım Adaları, Aleksander Soljenitsen - I remember beginning to read it but stopped somewhere. Will read it this time. Siyah Kan, Jean Christophe Grange - I bought this book years ago but stopped reading because I didn't like it. Will read just to be read. In the last weeks Obama said they are glad the going in Turkey... what you are glad of? our sons, brothers, father are bing killed by terrorist everyday. Soldiers, police forces, healt teams are being attacked and killed. You are happy for this? of course it means your plans going on well. For years Turkey has been tried to get into the war. first the venomus spats between Esad and Erdoğan created a base for a reaction in two nations aganist each other. later the terror groups' act began. Turkey asked to fight aganist ISIS while America and Europe only talked. But couldn't enough to get reaction of public. They didn't want to get involved in a inwar of another country. is it Turkey's duty? not UN's? So the terror organization began its acts killing people on streets, on their beds. In one month over 40 people were killed... to get approval of public to have an army operation in Syria and it passed the assembly yesterday. in spite of getting involved directly unlike Iraq & Afghanistan it is easy and comfortable to control events from behind right? A war tried to be started between Turkey and Syria. When it didn't happen they made an inwar in Syria. They created a terrorist group; barbaric, brutal. Strangely this group focused on the border of Turkey. They are so called to be an Islamic group killed lost of muslims. For the sake of some western countries' benefits people are killed in Middle East. They create chaos under the name of bringing humanity to those nations. They destroyed Iraq in the name of peace. So hwere is the peace? they created an Arab Spring, civil wars in Arab countries, show me one that ended with peace. They don't give a damn people are dying. They won't stop until they compalte their plans. hergün ölüyordu çocuklar da konuşulması için kıyıya vurması gerekiyordu. içimiz cız etti. üzüldük. gözlerimiz yaşardı. suçlanacaklar hazırdı, suçladık... sonra , sonra bir sonraki resme geçtik.